Citra-Lock™ is recommended in the European Renal Best Practice Guidelines (ERBP) and the American Society of Diagnostic and Interventional Nephrology (ASDIN). Citra locks have been extensively studied. 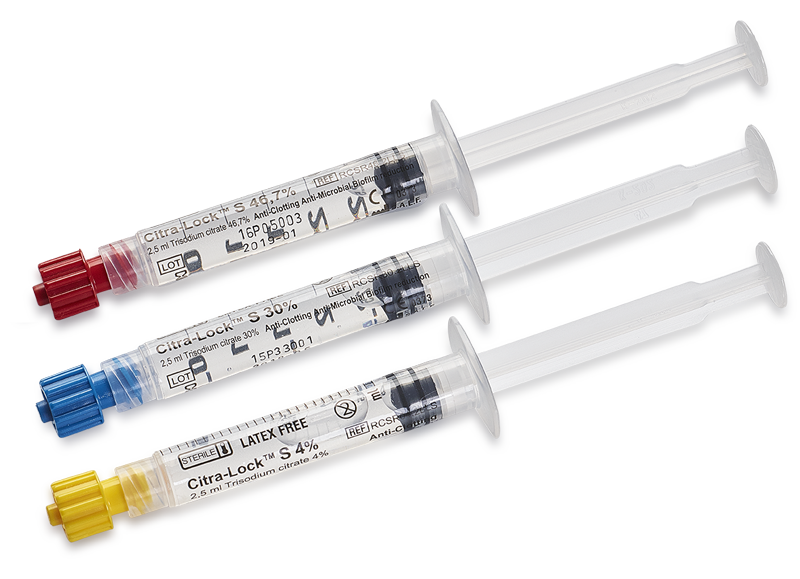 Citra-Lock™ is effective in maintaining catheter patency. The Citrate lock is based on tri-sodium citrate and can be safely used in all catheters!